Back in February, Rick Ross told us that he wanted to "shock the streets and the world" with Rather You Than Me. Now, the time has come for Ross to deliver his ninth studio LP, and you can hear the whole thing right now. 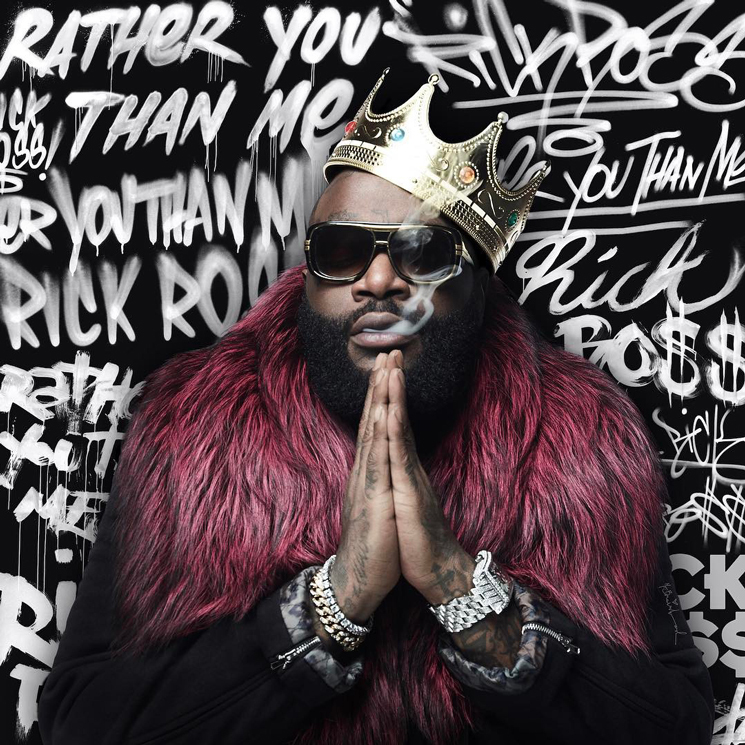 Arriving today (March 17) through Epic/Maybach Music Group, Rather You Than Me runs 14 tracks in length and marks his first effort for the label. As Rozay told us in February, "the phrase 'Rather You Than Me' speaks to a n***a's natural instinct to survive. What also makes [the title] and the album genius is that there's a beautiful side to this as well, for instance, 'I would rather you than me enjoy this fine glass of Belaire.' There's so many different ways to say it that can make this unique, but the title is speaking to the survivalists; the ones that refuse to lose." Lining up alongside the Teflon Don for guest features are Raphael Saadiq, Chris Rock, Young Thug, Wale, Future, Jeezy, Yo Gotti, Gucci Mane, Ty Dolla Sign, Nas, Meek Mill, Anthony Hamilton and Dej Loaf. Production comes from Major Nine, Black Metaphor, Yung Coke, Beat Billionaire, C-Gutta, J-Pilot, StreetRunner, Azzouz, the Olympicks, Analogic, Buda & Grandz and Beat Butcha. "For me to put together what I consider to be my magnum opus, I had to work with certain names, and those certain names you know very well," Ross told us. "We all shine bright. It's not about me making records to satisfy a tracklist." Take in all 14 tracks of Rather You Than Me below.